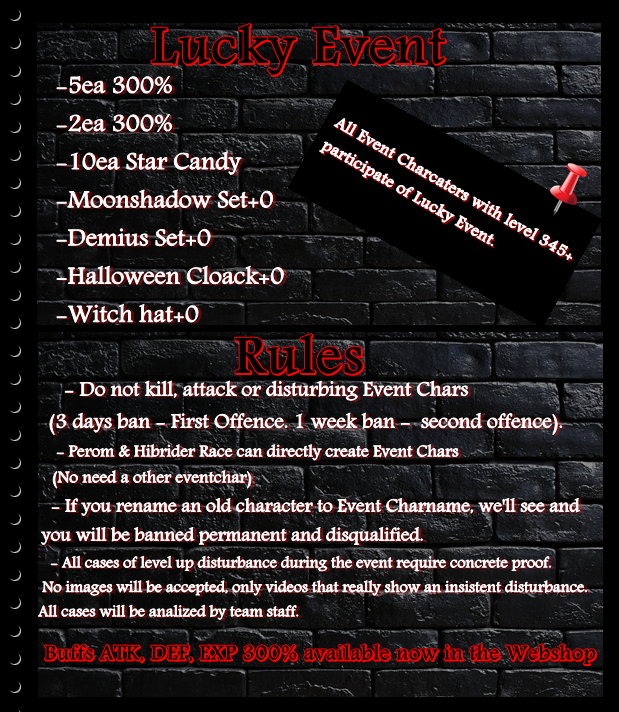 If have some doubt about the event open Ticket. 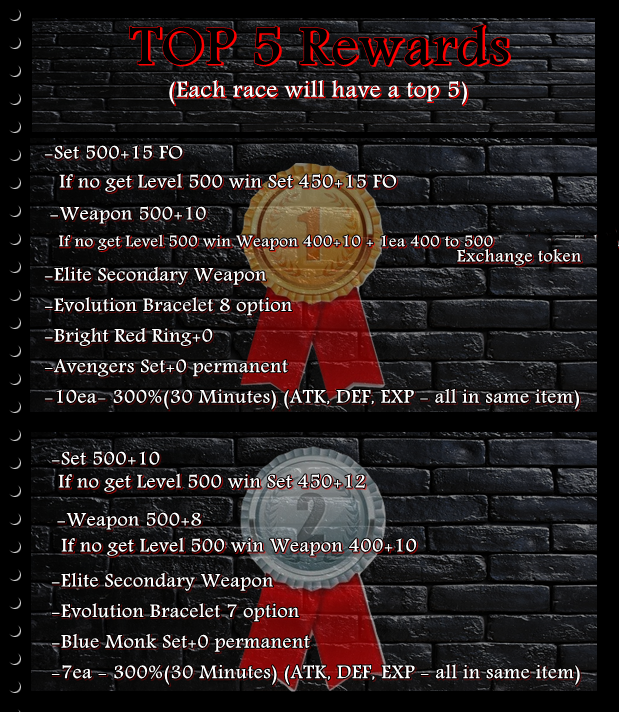 - All TOP1 Characters need to open ticket to choose options in Evolution Bracelet and in what character want received Bright Red Ring because cannot trade. If choose in other character need say in ticket the ID, Pin, E-mail from ID FIRE and ID, Pin, E-mail and charactername from character that will receive. -All TOP 2 need choose in ticket the options in Evolution Bracelet. -TOP 3, 4 and 5 no need open ticket because nothing need be choosen, we will send as soon as possible. * If want Sword or Dual Sword Then you need open a ticket and we will change. 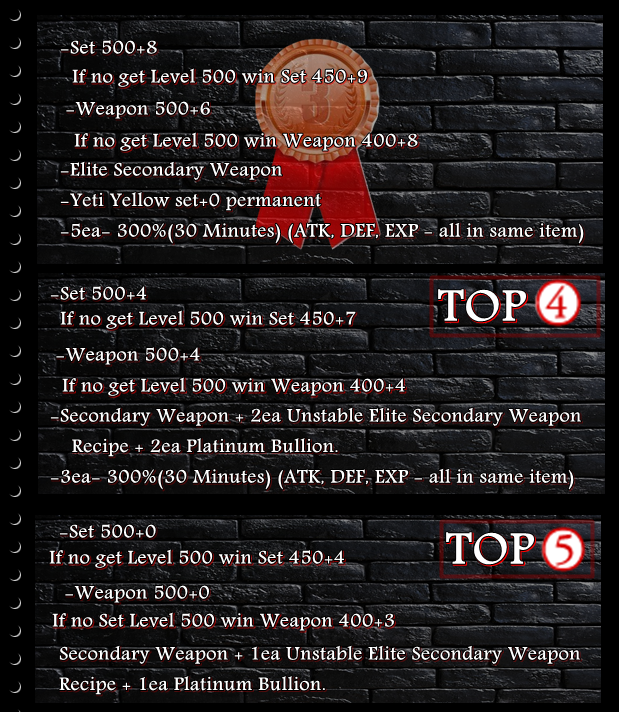 - All rewards will be send in npc e-trader in lost realm. 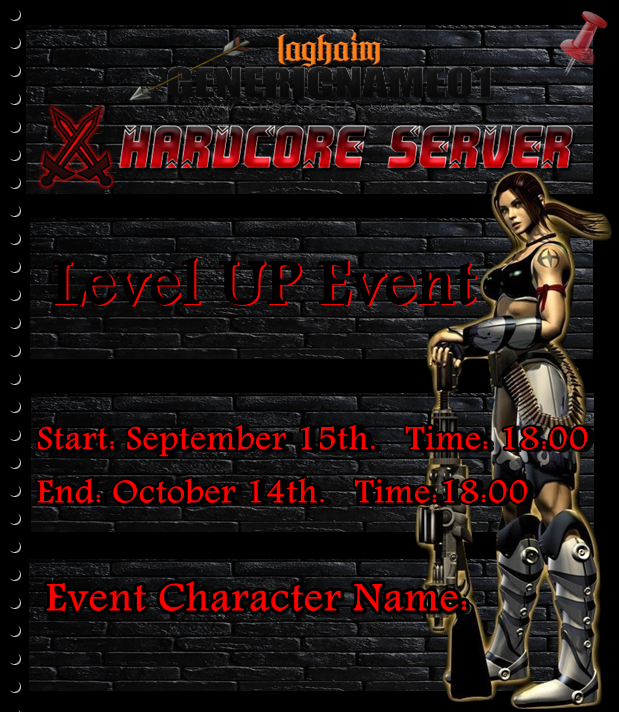 - Players level 345+++ will participate of raffle. We will make a raffle soon and post here. 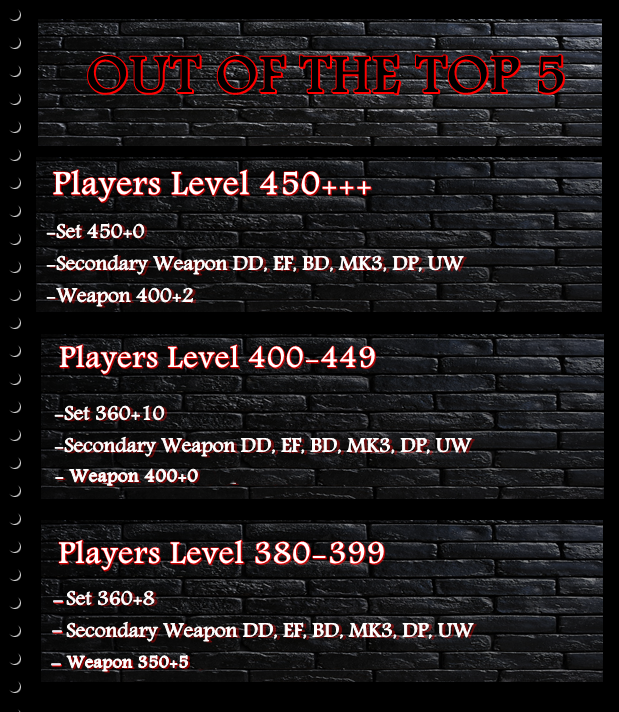 - Players "Out of TOP 5" will receive rewards as soon possible in the NPC E-trader Lost Realm. Any questions open a ticket or ask right here in the Forum. Rewards will be send in next hours, only FIRE0777 need open a ticket and choose if want male or female, choose color black, white or violet and in what character want received because cannot trade.